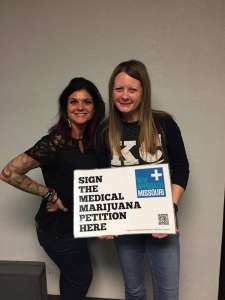 Since Missouri is not only my literal birthplace, but also where I started my cannabis law reform activist career, I have been paying a lot of attention to New Approach Missouri’s effort to legalize medical cannabis statewide. 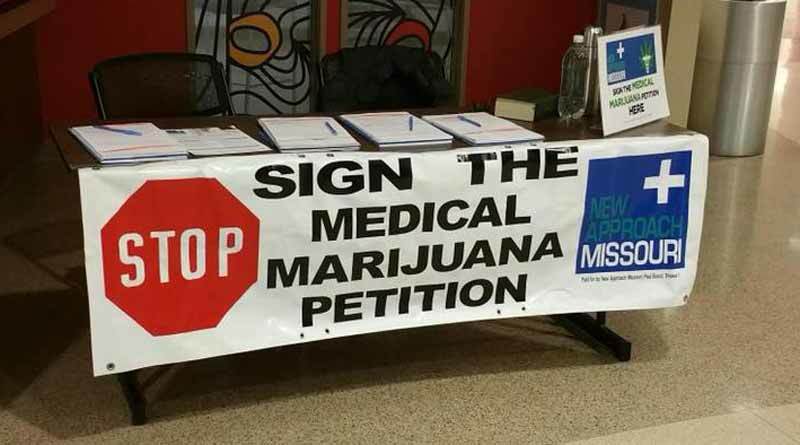 I am pleased to see that the New Approach signature-gathering effort is going so well that the group has collected a great chunk of the valid signatures needed to place a medical measure before Missouri voters this November. Last year my heart sank, along with those of patients and advocates in Missouri, as New Approach’s previous signature-gathering effort fell just short. Undaunted, these dedicated activists got right back on that proverbial horse, dedicated more than ever to provide sick and disabled patients access to medical marijuana—a much safer medicine than many of the prescription opioids pushed on too many patients today. Having experienced political losses and victories several times in my career, I understand firsthand how devastating setbacks can feel, but also that you can learn a lot from defeats. It is clear that New Approach Missouri gained valuable wisdom from a past failure to make the ballot and have made important changes to ensure success this year. First of all, New Approach started much earlier in the process and are far outpacing where they were in signature-gathering in 2016. Also, volunteers have been much more involved in the process, collecting over 97,000 signatures. As someone with experience in a few signature drives myself, I can attest that Missouri volunteers are simply crushing it. Additionally, the campaign this year is aided by state-of-the-art technology that allows its managers to check signature validation at any time. Missouri, like many states, makes it difficult to get on the statewide ballot, requiring that a certain percentage of signatures come from a variety of congressional districts. Thus, initiative petition gatherers can’t run up their signature counts from just the big cities like St. Louis and Kansas City. However, it is clear that New Approach Missouri has gained wisdom from their previous political battle scars and are doing all of the right things to ensure signature-gathering success this year. I hope that the cannabis community across the country supports the New Approach Missouri effort this year. While another state’s political efforts can seem not to matter much to your life, the truth of the matter is that we are all connected in our fight to provide safe access to patients and ultimately end the failed and harmful policy of cannabis prohibition. Nationally, our state’s marijuana laws are under attack from Jeff Sessions, Donald Trump’s attorney general. It would send a big signal to the Sessions/Trump Justice Department if a Republican-controlled, culturally conservative state like Missouri legalized medical cannabis in spite of Attorney General Sessions threatening cannabis patients, consumers, and providers across the nation. While things are looking great for New Approach Missouri, the fight is obviously far from over. Please visit www.NewApproachMissouri.com to make a donation if you are able. Also, please be sure to spread the word to all of your like-minded family members and friends, especially if they live in the Show Me State. Let’s bring another state into the medical cannabis community. Anthony Johnson, a longtime cannabis law reform advocate, is the director of New Approach Oregon, working to effectively implement the cannabis legalization system while protecting small business owners and the rights of patients. He sits on the Oregon Marijuana Rules Advisory Committee and fights for sensible rules at the legislature, before regulatory bodies,and at city councils and county commissions across the state.He was proud to work as Chief Petitioner and co-author of Measure 91, Oregon's cannabis legalization effort and director of the Vote Yes on 91 PAC, the political action committees responsible for the state's legalization campaign. He also advises cannabis entrepreneurs on how to comply with Oregon's laws and helps organize the International Cannabis Business Conference and the Oregon Marijuana Business Conference. You can see his work here at WeedNews.co as well as MarijuanaPolitics.com.